NutriAsia (http://www.nutriasia.com) – Philippine’s foremost producer, marketer and distributor of quality sauces and condiments, experienced phenomenal growth in the demand for its products. This growth led to a rapid expansion and new factories for capacity expansion and new products. The rapid expansion resulted in an increased number of Human Resource and Capital Expenditure requests. With growing demand for its products and increased employee strength, it had become vital for NutriAsia to put in place a robust system that could not only support its existing requirements but also be ready to make changes quickly with its changing market requirements. The adoption of automation was inevitable but the company had a range of choices from which they were expected to make the right choice. 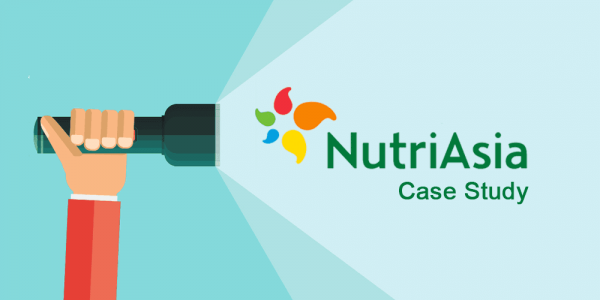 NutriAsia was looking for a robust automation software which had the capability and reliability – with the ability to provide a solution quickly and nimble enough to scale rapidly. An additional requirement was to complement their existing supply chain management that was running on SAP. The CapEx process was one of the many processes that direly needed automation with requests flowing in huge numbers. The CapEx requests were initiated across the organization and it was imperative to get the cycle times reduced as it was affecting some large projects waiting to take off. Critical investment decisions were getting delayed which will inevitably affect the business process. The conventional method of manually processing CapEx requests required multi-level approvals and integration with other business processes was impractical, time-consuming, expensive, and difficult to track. After reviewing a bunch of enterprise applications that were an overkill for NutriAsia’s requirements, NutriAsia zeroed in on Cavintek’s CFLOW. The IT team was impressed with CFLOW’s capabilities and was more amazed at the fantastic speed of execution by Cavintek. A flurry of workflows were automated and demonstrated in quick succession and NutriAsia was confident that they had picked the right product. The CapEx requests were automated and released to a small cohort of users in one location. The initial hiccups were quickly sorted out and a smooth transition to production was arranged. The cycle times were shown in real time and it was pretty obvious to everyone that automating workflow processes through Cflow was a game changer. Employees were elated as there was no more digging to be done into hundreds of spreadsheets in shared drive and searching for a lost email in archives. All documents related to a CapEx request were available in a single location on a unified platform. It was intuitive to monitor the approval sequence. A collaborative interface helped in quick resolution of queries and facilitated important stakeholders to stay in the loop. This automated process reduced the data entry time, eliminated a cumbersome manual paper flow, and ensured consistency. The automated process eliminated questions such as ‘Whose desk is it on?’ or ‘Has my request been approved?’ The paperless environment improved productivity and kept employees more engaged and happier. They no longer had to wait for approvals, follow up with their manager and had more time to focus on their immediate tasks. The client used the online CapEx request form to improve and standardize its processes while reducing cycle times. More importantly, information which was not available before was now easily accessible online. The success of this CapEx process automation had given the client confidence to set up additional, more complex processes online and a whole set of workflows have been automated since then. A robust, reliable and versatile platform as Cflow helped NutriAsia adopt automation in the most seamless and intuitive manner leading to efficient business management. Try Cflow to experience the simplicity and power of automation in business processes.